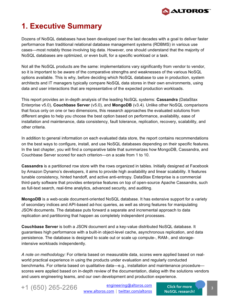 Download this 52-page research paper that evaluates the architectures of the three popular NoSQL databases across 20+ comprehensive criteria. 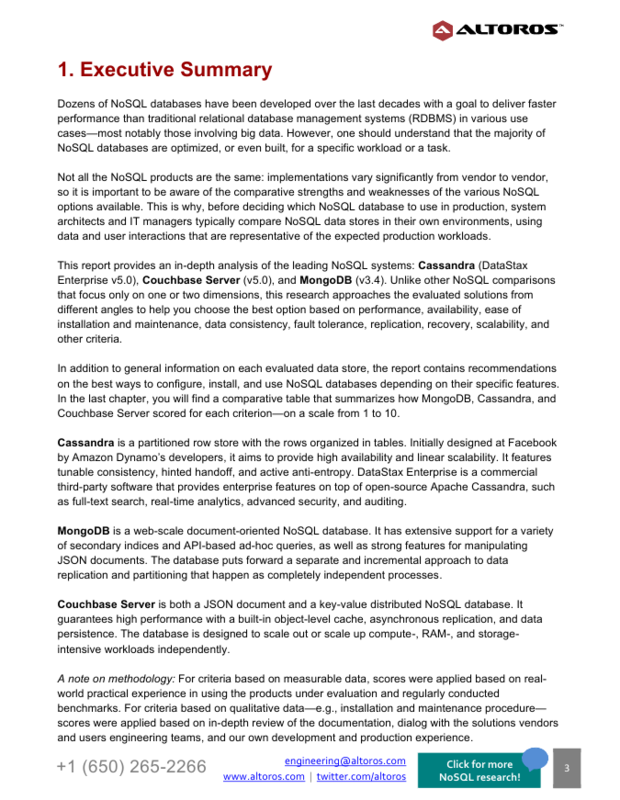 This 52-page report embodies an in-depth analysis of the leading NoSQL systems: DataStax Enterprise v5.0 (Cassandra), MongoDB v3.4, and Couchbase Server v5.0. 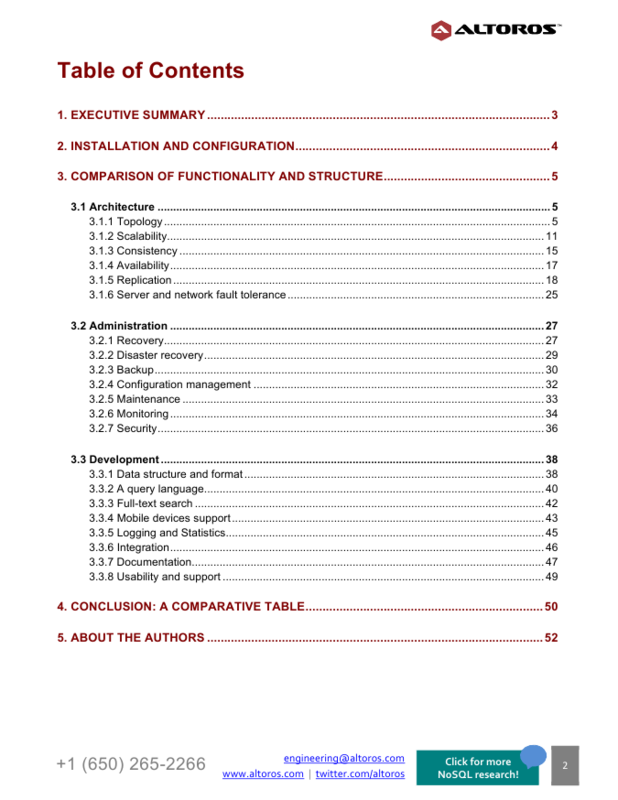 Unlike other comparisons that focus only on one or two dimensions, this research approaches the databases from 20+ angles across three domains: architecture, development, and administration. 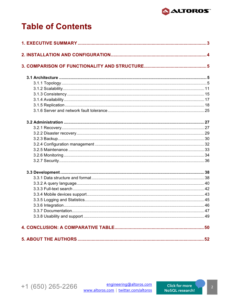 The benchmark explores the solutions’ ease of installation/configuration, scalability, availability, maintenance, data consistency, fault tolerance, replication, recovery, etc. 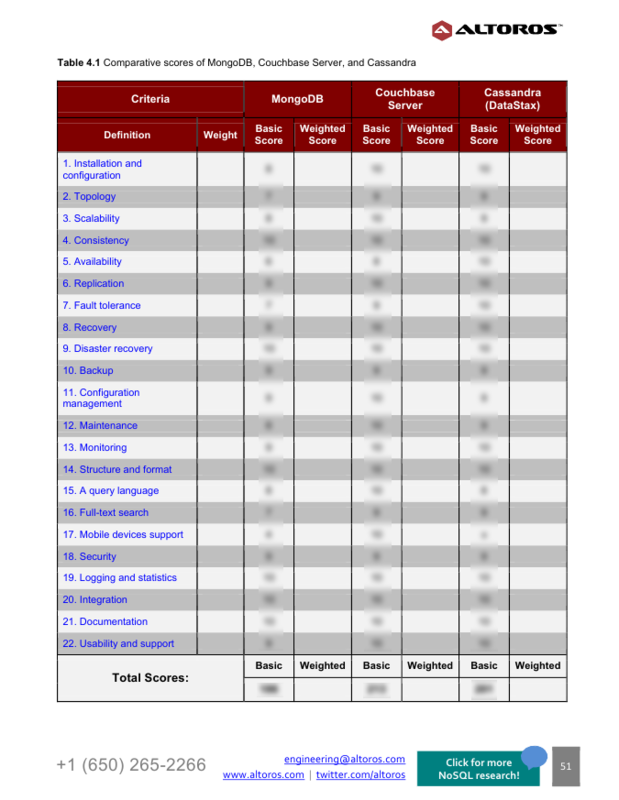 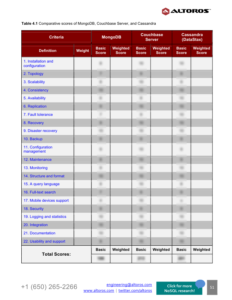 The paper features a scoring framework for evaluating and comparing NoSQL data stores for your particular use case—depending on the weight of each criterion.